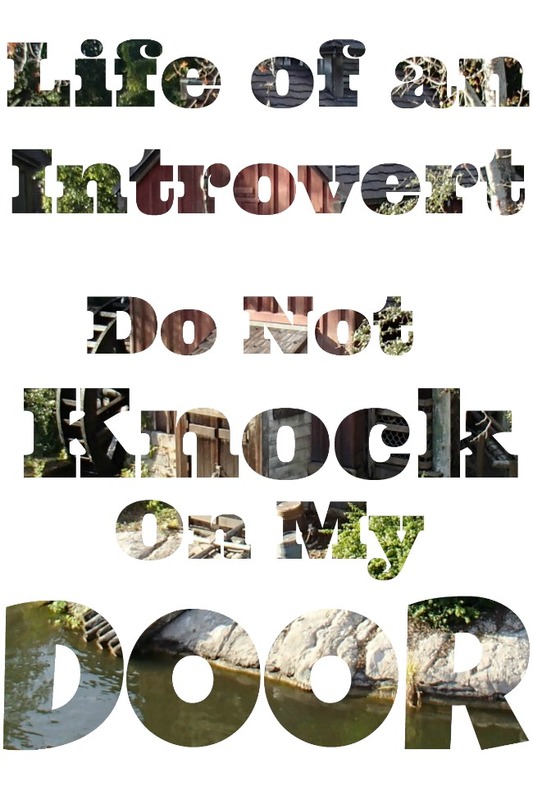 I am undeniably an introvert. In a house full of full on extroverts. Oh Joy. The family has come to the point where they work well with me. They understand my needs. I am different and I need a bit of space. Before we step outside I take a moment to collect myself. I need to prepare for human interaction. Sometimes the world intrudes into my little bubble and it upsets me. If my husband is not home the door gets ignored. If he is home he deals with the door. For me an unplanned knock at the door is a gross invasion. Here I am doing whatever I need to do, often feeding my baby and someone arrives unannounced. Knock, Knock, Knock. My stress reaction kicks in and I instantly fell hatred towards whomever is on the other side interrupting our daily life. Our home is my safe haven and if I wanted to deal with people, I would take the kids to the park. Some days I dread stepping out of the house just to hang the laundry (my favorite chore) just because I dread the idea of socializing. I dread feeling the touch of another person of waves of emotion emanating from someone. I hate having unplanned visitors, especially ones that do not have a bunch of little kids running around. My house s a mess, a BIG mess. I need time to get it presentable when someone comes around. Even then odds are the dishes with still be on the counter drying and toys will still be all over. My hair is a mess and quite frankly I do not wear the most modest shirts around the house. I go for nursing convenience over modesty inside my home. When someone knocks on my door I am far from prepared. I loved this! I think the sign is a good idea. I can relate to everything you talked about. I am the only person I know like me. It makes me feel crazy. This was encouraging and the sign idea is helpful. I put a sign on my door! It says “shhh…it’s nap time, please don’t knock!” I leave it up 99% of the time. I LOVE it. Oh yeah the all nap at different times.